On my previous post, we learned how important it is for each individual life insurance, now we'll see how life insurance can provide benefits to the community as a whole. • Life insurance is a substitute for net programs government social security. Some governments in the world to offer a program of social safety net or welfare to address the problem of unemployment, the elderly and refugees. If the majority of the population in the country has a life insurance program, the issue of social protection in the country will be reduced. This allows the government to use part of the funds to be allocated to improve the well-being of the community as well. • Life insurance and stability of society. As we all saw in the previous section, namely life insurance can reduce anxiety individuals against financial problems in the future, the possibility of a financial loss in the event of risk. Of course, this can increase the stability of the economy. A life insurance therefore certainly improve safety, the possibility of an economic collapse, if the accident occurs or a bad risk. • Life insurance as a funding source. Life insurance companies offer financing for new businesses, they also channel funds to the government to finance the construction of housing, agricultural implements, roads and other insfratuktur long term. So, in addition, in addition to the guarantee of the amount of funds, the companies also offer loans. This can stress you when you try to sell life insurance to your potential customers. • Life Insurance and jobs. Life insurance is a company that combines many skills as an insurance agent, broker, underwriter (insurer), accountants, auditors and investment analysts. So this job openings to thousands of residents in the country. • Life insurance and savings. Recognized or not is difficult to prepare for the long-term funds or savings is if we save money in a very easy to withdraw funds. Well for it, life insurance is a way of saving for future needs. Life insurance is a way to save money. By encouraging people to buy a life insurance policy, the insurer or indirectly insurance companies, encouraging them to be disciplined to prepare for their financing needs in the long term. Insurance companies also contribute to channel savings to finance domestic investment. • Life insurance for people's happiness. A happy society will form a happy person, and vice versa. Life insurance is trying to create. By providing financial compensation if the risk of an individual experiencing financial problems due to the risk of bankruptcy can be resolved. 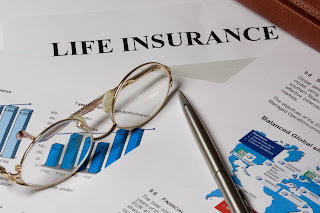 Keyword: life insurance, benefit life insurance for public, the importance life insurance for people’s, the Importance of life insurance for public.